Since her breakout Oscar-nominated role as the desperately happy mother-to-be in Junebug, it’s almost seemed as though Amy Adams has put together two separate acting careers. Sometimes she’s an impossibly perky comedienne perpetually waiting to burst into song in films like Enchanted or The Muppets. And then almost as if suffering from acting bi-polar disorder, she’ll turn up in quiet and pained dramatic performances as a character actress in films like The Fighter or Doubt. 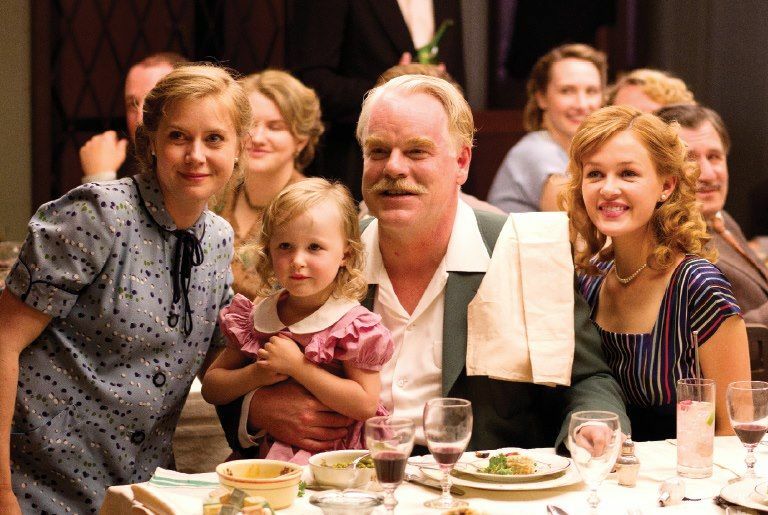 Her latest turn in Paul Thomas Anderson’s The Master slots firmly into the latter category. As the coldly manipulative wife Peggy to Philip Seymour Hoffman’s twisted religious leader Lancaster Dodd, Adams delivers another one of her wonderfully dark turns and should inevitably receive plenty of attention along with the awards-bound film. Collider got a chance to speak with Adams at this year’s Toronto International Film Festival (as part of a group interview) and she talked about delving into her interpretation of the complex role, the challenges of shooting in 70mm, and working with talents like Anderson, Hoffman, and Joaquin Phoenix. Plus, we also got around to asking her about that little movie she made this summer called Man Of Steel and what it was like to put her own stamp on Lois Lane. Hit the jump for all those details and even more tasty info nuggets. 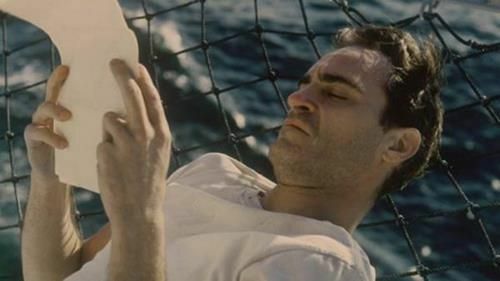 Question: How did you react when you were first sent the script for The Master? Amy Adams: First off, when I just saw that “Paul Thomas Anderson is going to be sending you a script” I was like, “what just happened to my life?” So that’s where I started. Then I read the script and I was definitely interested in playing the character. It just grew from there. Just his name and then everything else just kept coming. 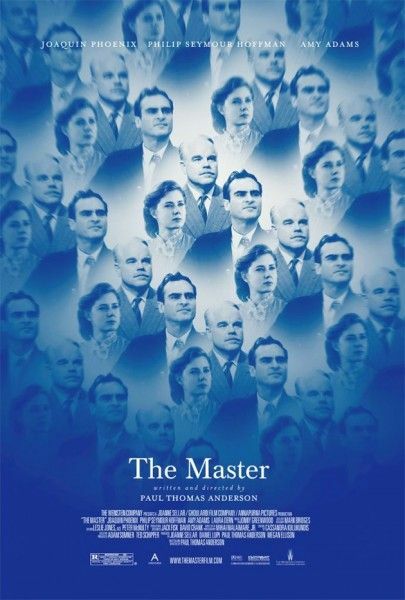 Is there anything that surprised you about working with Paul Thomas Anderson? Adams: How funny he was and how much we laughed on set. I thought it was going to be a very serious experience. Although we definitely delved into serious subject matters in the scenes, the experience of working with him was a lot more fun than I expected. 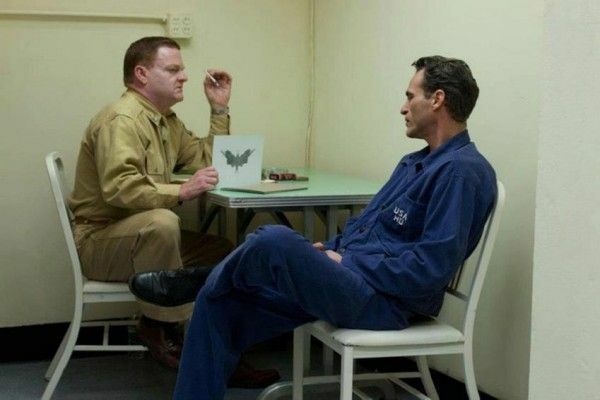 How about Phillip Seymour Hoffman or Joaquin Phoenix since they are known for their eccentric senses of humor as well? Adams: I turn into Peggy around them. I’m fiercely loyal, I am protective, and I will kick anyone’s rear end if you are one to say anything negative. I’ve worked with Joaquin twice now and I feel like I have started to see his humanity through his process. So I am very loyal to him and I have worked with Phillip several times as well. I think they are just very open and honest people, and so it is hard for them to sit in a room and be looked at. It is hard for anyone. I have said it before that I think I am more of a people pleaser. So this is where I am all good. There is so much manipulation in this movie. 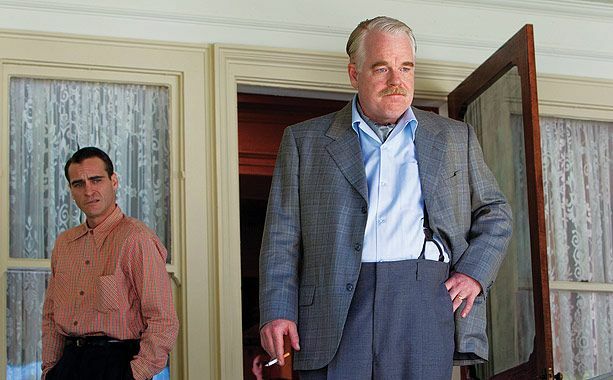 How much do you think was your character in control of Phillip Seymour Hoffman’s character? Adams: I didn’t feel that I was in control. I think there are definitely control mechanisms within our relationship that I relied on. I think she has the eye on the prize and she can definitely see that his eye has been taken off. I think that she is very suspicious and that she is very…she is a lioness, you know? Bat away anything and she will attack. Adams: Thank you. I loved her. What do you make of the L. Ron Hubbard and Scientology connections that people are seeing in the movie? I was thinking that it is open to interpretation and I guess people who want to see it as a Scientology inspired film will see it that way and maybe others won’t. Adams: It’s so…I am trying to go back and be in that moment. It wasn’t something that I acknowledged or where I was like, “Here I am playing that she is jealous…” But the feeling that Freddie really does inspire something in my husband; I want my husband to be inspired but I just want to make sure that it is the right influence. So it is not…I am just protective. I think it is more protection. I think the jealously comes from it being more protective in thinking about it. Maybe she is a little? I think she is more jealous of women and the attention he gets from the other girls. Did shooting in 70mm affect the production at all on your end? Adams: Only that the takes are slightly shorter. So sometimes in the middle of scenes they would have to switch over the film more often. That was the only thing since the mags are bigger. How particular is Paul as far line readings are concerned? Is he very meticulous? Adams: He is very open. If he doesn’t like it he will just cut it out or reshoot it. So he is more experienced. He didn’t say, “I’m more experienced!” so I hate quoting, but my impression was that he is more interested in what happens organically between two actors when left alone. He will definitely direct a scene , but he is not giving line readings. Does he do a lot of takes? Adams: I don’t remember there being an absurd number. It’s very strange. Sometimes it would be 2 takes and sometimes it would be Joaquin walking back and forth for 12 hours. It didn’t all end up in the film, but I feel like we did that for 12 hours. It started in the daytime and it was after midnight by the time we were done. It was pretty intense. Maybe in the DVD extras? Adams: Sure, it will be 12 hours of Joaquin walking back and forth. It is pretty intense. The commitment that Joaquin and Phillip had during that was amazing. I have two questions about one of the most memorable scenes in the movie, which is when Joaquin is looking at the crowd and suddenly all of the women are naked and dancing. Adams: That was one of the weirdest nights of my life because I was right at this level. [laughs] The reason it was so surreal for me was because typically when we see women naked in our society, aside from in life, they are acting like they know they are naked. But here the idea is that we are all acting like we have clothes on. So to see women of all ages and body types jumping around and dancing and very unselfconsciously presenting themselves – that was so surreal because you just don’t see that. So that was part of it. It was just “we are naked” but everyone was acting like they had clothes on. It was very bizarre. That’s what I wanted to ask you, What do you think is happening in that scene? and You were seated in that scene but your character is pregnant. Adams: I had a prosthetic belly on. We had to glue it to the sides and sit in a certain way because we didn’t have time. Originally I wasn’t written into the scene. You weren’t meant to be in it? Adams: No. Then Paul said, “Would you sit there if we could come up with something ” and I said, “Sure.” I think it adds to a great effect. Do you have any thoughts about what is happening in that scene? Adams: I would imagine that he is sort of plagued by things. Be it a sort of a tendency towards being overly sexualized or being very unpredictable. I guess you would have to ask Paul exactly what it meant. A lot of the process of making this film was me not trying to decide what a scene meant and really just participating. I will let Paul decide. I noticed that you stayed for the entire movie at the premiere. Had you seen it from start to finish before? Like the jail scene, which they could only film once? Adams: Last night, I started laughing. I was just so blown away like, “I can’t believe what I am seeing here with these two actors, Paul, what they are creating right now in this moment, and this juxtaposition of these forces of personality.” It was just amazing. How was the experience of playing Lois Lane this summer? Adams: It was great. It was really good. Henry [Cavill] – I hope you guys love him as Superman – worked so hard. He is just yummy and really committed to the role. He really did a good job. I haven’t seen the final cut and I have only seen a couple of the teasers. So I am with you guys. I know it because I was there but there was so much that I wasn’t involved in that I can’t wait to see. Is there going to be humor in your interpretation of Lois Lane? We’ve seen the humorous Lois Lane in some movies and TV shows and other times she is more serious and very competitive with Clark Kent. Adams: No, I think she is a little more…we will have to see. I don’t know. I mean, she is definitely a pistol still and she definitely gets herself in a lot of trouble still. But she is not as competitive, I would say, with Clark. How was performing Into the Woods as part of Shakespeare in the Park? Adams: Because it was three hours of Sondheim! I’m sure Shakespeare would also be humbling. But it was three hours of Sondheim and then the set with the stairs – I have never been so tired in my life. I would literally get done with Act I and I would be like, “We have a whole other act?” It was a long show, but also doing it night after night and the commitment. I think in film it is so easily to slink away and find time for yourself. You can indulge yourself very easily in film and you can’t do that in theater because you part of a big community, especially in a performance like Into the Woods where it is an ensemble thing. You know that if you are not giving it your all you are letting down a lot of people – not only the audience but also your cast. I believe in being humbled often, and I believe that everyone should do that. Click here for all our TIFF coverage.